We offer private tuition through Elemental Fitness Ltd., at competitive prices. With a variety of packages including one to one, pair training, group training and boot camps, our aim is to make your workout sessions enjoyable, varied and fun. These will be tailored to you; we cater for all shapes, sizes and fitness levels. Elemental Fitness is a Leeds personal training service offering a combination of personal training packages and a one to one kickboxing tuition. 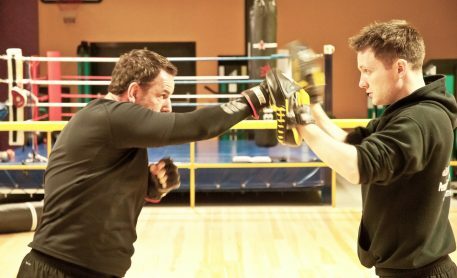 We offer a variety of packages all designed to cater for your individual goals, whether they are to improve fitness, increase weight loss, or learn kickboxing and self-defence; and a plan can be put together to help you achieve your goals.